Vichy is one of the leading skincare brands in the world and currenty my second favourite right after La Roche-Posay. I’ve been enjoying using quite a few of their products recently and have a whole bunch of reviews coming up for you in the next few months. 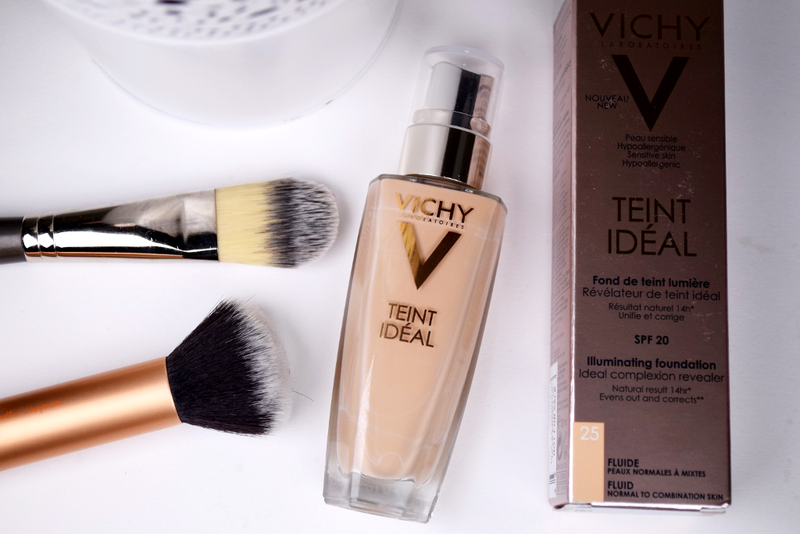 Today I’ll be sharing my thoughts on their Teint Ideal Fluid Illuminating Foundation. It comes in a lovely glass bottle (pump included) and promises natural results for up to 14 hours. It is designed for normal to combination skin, has SPF 20, is paraben-free, hypoallergenic, and therefore appropriate for sensitive skin. To make my ‘trying it on for the very first time’ experience a little bit more fun, I decided to do it in front of the camera and shared my initial throughts with you in the video below. Make sure you watch it before you go on to read the rest of the review, otherwise you might miss some important points. 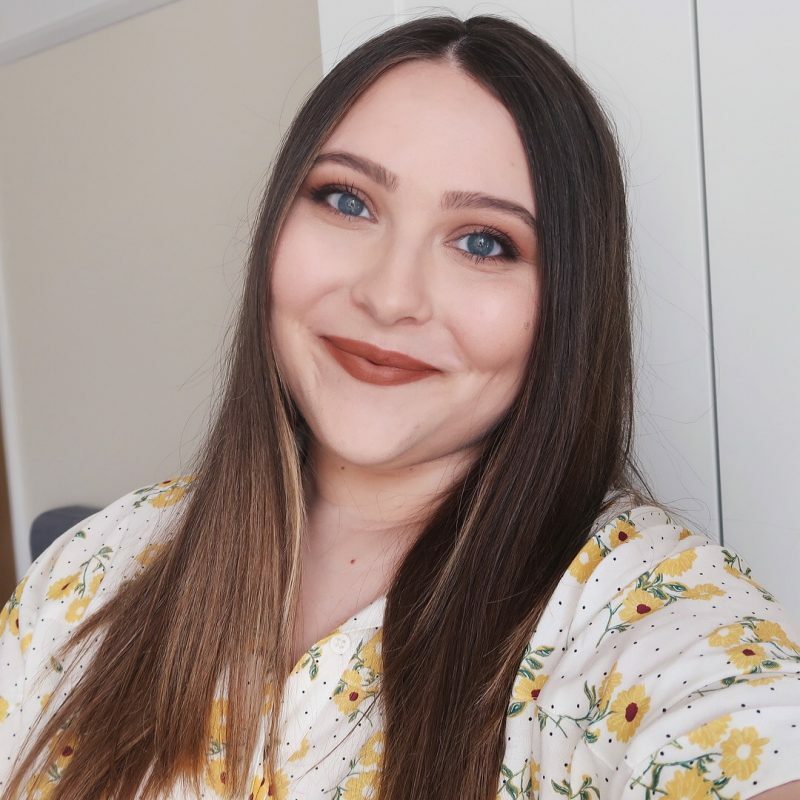 I tried out the foundation a couple more times after the video was filmed, and my initial impression hasn’t changed much. I definitely wouldn’t recommend it for dry skin, as it clings to dry patches like nobody’s business. Unfortunatelly, it really doesn’t work for me right now, but I will hold on to it in hopes of taking it with me on a tropical vacation one day. I wish I had it with me last year when I when I went to Bali (travel posts & vlogs here). It would be perfect for my tanned, dry-patch-free skin and the humid weather! It is super light-weight, to the point you don’t even know you’re wearing foundation, easy to blend, and gives a natural, glowy coverage. The perfect summer foundation if you ask me. As long as you don’t have dry skin! Or a super oily one. I could see it being a tad problematic in that case as well, since it’s not matte and doesn’t last long on oily areas. Some powder or a re-application should solve the problem, though. Have you tried any Vichy foundations? Maybe this one or the Teint Ideal Illuminating Cream one? I have a feeling the latter would suit my dry skin better. Also, have any of you used Vichy Dermablend? I’ve been hearing the coverage is insane and have been thinking about potentially buying it for my make-up kit. Po mojem bi ti kremna verzija bila bolj všeč… si probala že mogoče? V tubici pride, imam oceno na svojem blogu. 🙂 Meni se zdi precej 'hranilen' oz. vlažilen.